For five decades, Helen Mirren has captivated audiences in theaters and cinemas—and her stature just keeps growing. 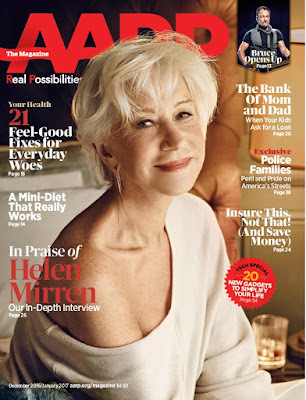 In an exclusive interview with AARP The Magazine (ATM), Mirren gives us a provocative look into the mind and life of one of Hollywood’s most versatile and daring performers. The following are excerpts from the December/January issue of the AARP The Magazine cover story featuring Helen Mirren, available in homes starting Nov. 1 and available online now at aarp.org/magazine/. Mirren first visited the States in the 1960s, when she was on tour with the Royal Shakespeare Company.